It was my great pleasure, along with Bryan Catherman of SaltyBeliever.com, to host Dr. Albert Mohler the president of The Southern Baptist Theological Seminary on our podcast Salty Believer Unscripted. Dr. Mohler was kind enough to sit down with us after a long day of lecturing at Brigham Young University in the morning and preaching at a small conference called “Contend” for area Christian pastors at First Baptist Provo in the evening. As an alumnus of Southern Seminary I am always excited to have Dr. Mohler in the state of Utah. 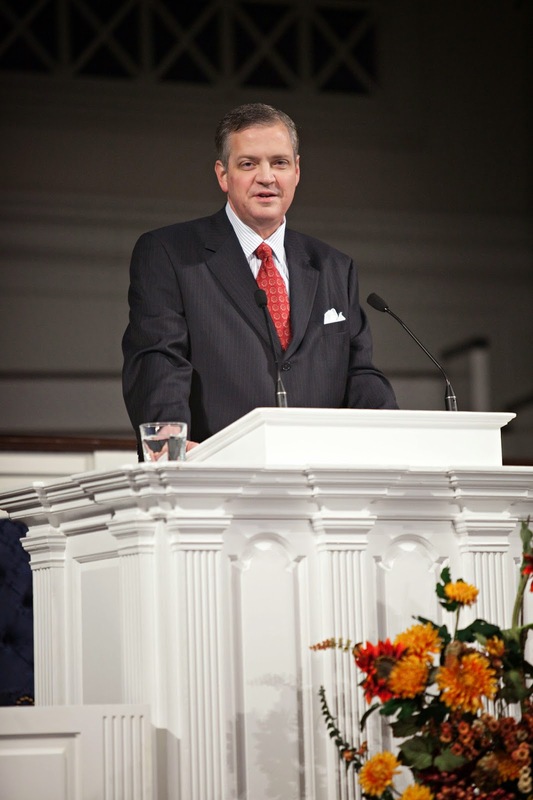 This was Dr. Mohler’s second address at Brigham Young University in Provo Utah, which was a follow up, and continuation of his first address earlier this year. At “Contend” Dr. Mohler preached out of 1st Peter and focused on the cultural shift that we are experiencing in Christian culture and wider American and Western culture. Dr. Mohler emphasized the fact that Christians are “elect exiles” (1 Peter 1:1). In contrast, Dr. Mohler pointed out that for most of modern history in American Christians have been living in a temporary and unheard of time of social influence built on a lot of social capital, but our influence has really been more of a mirage that was always destined to fail. Dr. Mohler aptly demonstrated that Christians have lost the culture wars, have cashed in their social capital, and our temporary time of influence has evaporated. In the words of Dr. Mohler, “And that’s a good thing.” Dr. Mohler went on to show that the social position the Christian Church is coming to in the United States is the position the Church has historically been in and will begin to share the experience of being in the minority that many of our brothers and sisters in Christ experience around the world. Our inheritance has never been found in the kingdom of our own building here on earth but rather is kept imperishable, undefiled, and unfading, in heaven (1 Peter 1:4). Dr. Mohler finished his sermon with a call to continue to follow Christ despite the growing social costs and to “keep our conduct among the Gentiles honorable, so that when they speak against you as evildoers, they may see your good deeds and glorify God on the day of visitation” (1 Peter 2:12). "You are on the cutting edge of what America is going to look more like…the fact the evangelicals are in a minority and have been for a very long time, virtually from the beginning of Utah as a territory, means you're on the cutting edge as a laboratory of what Christians in the rest of America are going to wake up and find. I'm not asking you to rejoice in every particular; I am asking you to consider the fact that the Lord has giving you the stewardship here to help the rest of the Church to figure these things out." Bryan and I are very thankful for the time Dr. Mohler spent with Salty Believer Unscripted and overjoyed for his encouragement to believers Utah. I highly encourage you to listen to our podcast with Dr. Mohler HERE. If you would like to hear more from Dr. Albert Mohler, please visit his website AlbertMohler.com or subscribe to his daily podcast The Briefing, which deals daily with worldview analysis of top news headlines.